In an entire lifetime of travel you must surely have a list of your preferred sights and your “must do” trips. 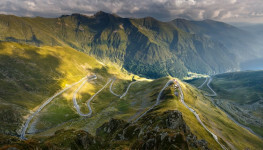 Today we share with you a “one in a lifetime experience” on 5 of the most spectacular roads in Eastern Europe. Now we must say that not all of these roads are made for luxury trips and heels strolling. But we bet you can try a mini off-road challenge in a great trip moving onto some of your dream locations. 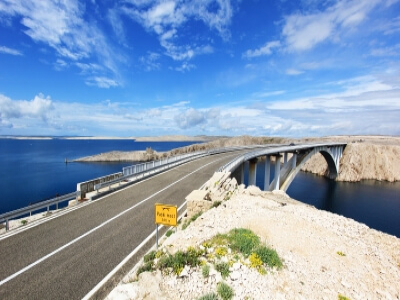 The Adriatic Highway, or ‘Jadranska magistrala’ in Croatian, has to be seen to be believed! This road runs along the east coast of the Adriatic Sea, being part of the European route E65. It passes through three countries: starts at the Slovenian-Croatian border (crossing via Rijeka), then covers a small strip in Bosnia and Herzegovina at Neum, and stretches up till Ulcinj in Montenegro. Still, the longest section is found on Croatia’s territory (starting from Rijeka in the north to Dubrovnik in the south). Looking on the roadmap, you will immediately realize that this asphalted road is going to gift you one of the best coastal drives in the world: scenic views, stunning beaches, crystal-clear waters, islands on the horizon, magnificent towns – all of these beauties can be met while driving on the Adriatic Highway. Actually, the route is not so easy, with many twists and turns, the drive is long, but confident drivers with suitably equipped cars will just have to gain from this astonishing experience! On your way, stop at the Makarska Riviera and enjoy the panorama which combines the coastal mountains with hidden bays and sunny beaches. Take a rest in Hvar – famous for its lavender fields. The towns of Split, Dubrovnik and the historical Trogir await you to provide an impressive cultural experience. At the end of the Adriatic Highway, we guarantee you that you’ll want to turn around and do it all again! This is not a road for fun and for a nice and comfortable trip. This is a road for adventures and risky driving situations. This is the perfect challenge for your new 4x4 crossover. The off road challenges of these road are famous. This road connects Moscow to Yakutsk and it is the place where the coldest temperature ever outside Antarctica was recorded. A more appealing story, it’s the story of Yakutsk, the largest city built on continuous permafrost. This was cataloged being one of the most dangerous roads in history (used in World War II for blocking the traffic and keeping the Germans out – in a dense mud). If you try to pass this road in the summer (July and August) you must be nuts. You will have to play a long term game of surviving because of the Siberian mud pirates. Therefore, you may want to keep in mind, traveling here in the winter season (which is not really a problem considering that the winter has 10 months here). In winter everything is icy and slippery as glass. There is some kind of joke in Russia about this road being a picnic in the winter compared to trying to navigate the Russian Federal Highway on summer. This road located in the Parâng Mountains group, in the Southern Carpathians in Romania, is one of the highest roads of the Carpathian Mountains and the highest road in Romania. The road has its highest point at the Urdele Pass, where the altitude reaches 2,145 meters above sea level. With a length of 146 km, it passes the Carpathians Mountains from Oltenia to Transylvania, the land of Dracula. The road was ordered by King Carol II and was named by the Romanian locals “the King’s Road”. It was opened in 1938, inaugurated in Poiana Sibiu and was rebuilt during World War II for military purposes. In 2007 the transformation of this road began. 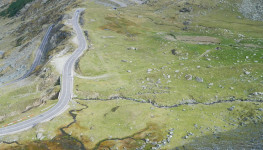 They wanted to transform it in a modern highway and in 2009 Transalpina Road was completely paved. 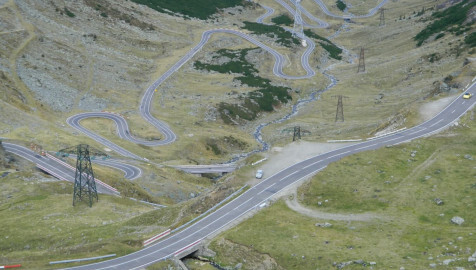 This is one of the greatest and most spectacular roads ever built in the Eastern Europe. The road is closed during the winter season, opening in spring and offering you the great sight of a mountainous region surrounded by nature on all sides. Tranalpina is a famous road and really attracts a high number of tourists from all over the world, so if you have in plans visiting this road you will get a unique experience and maybe you will find new friends passionate about trips and tourism. Greece can be presented not just as a destination with great beaches and rich history, but also with scenic drives. One of the most spectacular drives can be experienced in the north of the country: from the lakeside town of Ioannina, capital of Epirus, to the fabulous Meteora, well-known for its monasteries and jaw-dropping nature. The road will take you through mountains, over a high pass that you can find closed in winter. 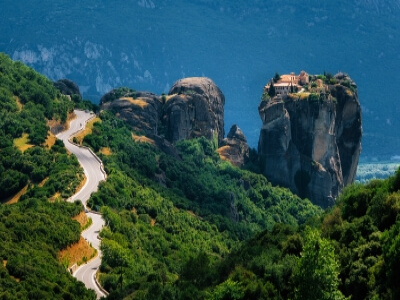 Ioannina-Meteora road will amaze you with the monasteries that sit atop the eroded sandstone towers. On your route, you will see 24 such monasteries, but you can stop and visit just six of them. If you don’t have enough time to visit exhibitions, then visit at least the Great Meteoron Monastery, which is the biggest, the tallest and the oldest among all of the monasteries, showcasing religious artifacts and other things of great importance. Watching the sunset on the background of the scenic view offered by the road from Ioannina to Meteora, you will understand the reason why you have to come back to Greece! Well, this is a highly reputed road in all travel guides made in Eastern Europe. Built back in 1974, this road has a well known history in tourism. 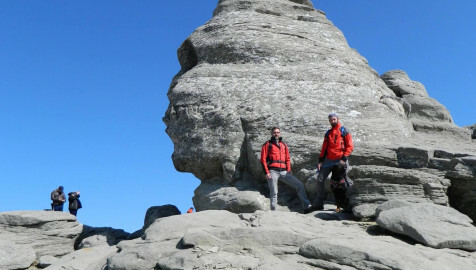 In 2009, Top Gear crew filmed here and Transfăgărășan made history, making Jeremy Clarkson say that Trasfăgărășan is “The world’s best road”. 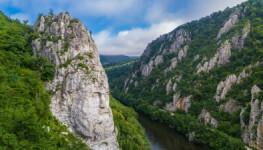 The road was built in the communist era as a strategic military route and it has 90 km of twists and turns, steep drops, climbs and a total length of 151 km. 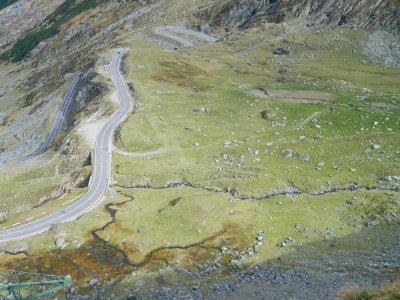 It climbs up to 2042 meters altitude and it is the second highest paved road in Romania, after Transalpina. 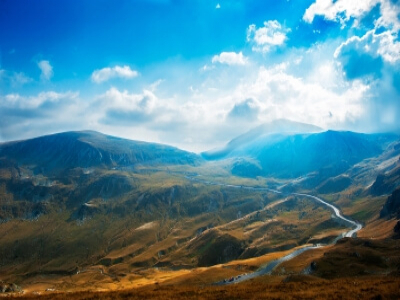 The road connects the historical region of Wallachia with Transylvania, crossing the Făgăraș Mountains, the highest group of the Carpathian Mountains in Romania. 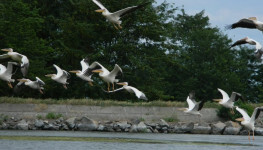 The region is full of beautiful sights and near Transfăgărășan you can find Bâlea Lake, Vidraru dam and lake and the Monastery Curtea de Argeș. Also, you can find here the Poenari medieval fortress. If you ever have in plan visiting Romania, this is a spot you mustn’t miss.